Elvis Presley not only changed the course of American music but of American culture as well. He did not invent rock and roll, but he helped to bring it into the mainstream. During his lifetime, he released 24 studio albums. This may seem like a small number, but it excludes his two dozen or so soundtracks and various compilation releases. To further complicate matters, his early albums did not contain any of his hit singles. 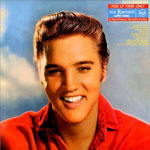 Songs such as “Heartbreak Hotel,” “Hound Dog,” “Don’t Be Cruel,” “Love Me Tender,” and “Let Me Be Your Teddy Bear” were saved for his series of Golden Hits releases, which outsold many of his studio albums. His two dozen studio albums run the gamut from some of the most important in music history to an artist just going through the motions. 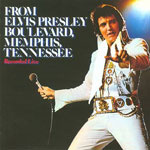 The last recording sessions of Elvis’ life took place on March 10-12, 1975. Many of the recorded tracks make up this release. Today is basically Elvis on cruise control: take a bunch of cover songs, record them quickly, and let the chips fall where they may. “Green Green Grass Of Home” and “And I Love You So” are tolerable, but it seems that Elvis really didn’t care. Another 1970s album that Elvis cobbled together. There was little new or exciting about the music; it was assembled from a number of different styles, which gave it no cohesiveness. It would be difficult to find a more average group of Elvis performances. “Good Time Charlie’s Got The Blues,” “She Wears My Ring,” and “Spanish Eyes” are representative of the group of lazy cover songs. The only redeeming track is “My Boy,” which became a hit on the Adult Contemporary, Pop and Country Charts, but that was not enough to keep the album from being his first to land in the cutout bins. This is another one of Elvis’ 1970s albums that was issued to basically make some cash for the RCA label and Colonel Tom Parker. One of the things that made this release so disappointing is that it came on the heels of his Aloha From Hawaii album, which had returned him to the top of the charts and the public consciousness. It clocked in at just over 25 minutes, which was merciful. 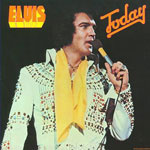 The last studio recorded album during Elvis’ lifetime, it became a hit after his death, selling in excess of two million copies. While it was another cobbled together affair, it was made tolerable by such tracks as “She Thinks I Still Care,” Way Down,” and the title track, which was a number one country hit. Not his best work by far, but it is memorable and poignant for being his last. During June of 1970, Elvis recorded 35 songs, which formed the basis for his That’s The Way It Is and Elvis Country albums. So far, so good. The problem came when his label squeezed one more album from the sessions, which meant it was comprised of tracks that had been rejected from two previous albums in a row. 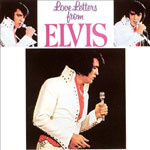 The material, except for “Life” and “Love Letters,” is so bland that even Elvis fans would have difficulty naming four or five tracks. This was a live studio album. It could have benefited from a little more energy and one can’t help but think the live approach was merely to save time. What the album has in its favor is that while the material is still basically cover songs of the day, they fit the approach fairly well. “Danny Boy,” “The Last Farewell,” and “Blue Eyes Crying In The Rain” are good laidback performances. 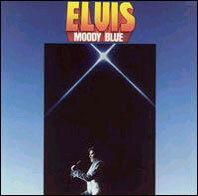 Oddly, “Moody Blue” and “She Thinks I Still Care” were not used and appear on the Moody Blue album, where they are the best tracks on that disc. This is better than most of his 1970s releases. The quality of Promised Land is significantly better that the albums ranked below it. 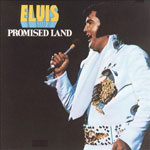 “Promised Land/It’s Midnight” was released as a two sided single and became hits on the pop and country charts, respectively. When you add in “Help Me” and “Mr Songman,” you have the foundation of an acceptable album. 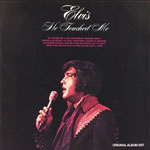 The title of the album should have been Elvis of the last several years as the material was taken from the leftovers of several recording sessions. The good news is they were leftover from some strong sessions, so they formed an acceptable album. The slower and laidback tracks come across well with “Until It’s Time For You To Go,” “Help Me Make It Through The Night,” and “Early Morning Rain” being highlights. Songs such as “Hey Jude” and “Fools Rush In” are more of a stretch. Still, it is one of Elvis’ 1970s albums that is actually listenable. 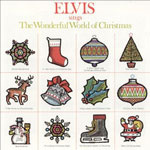 This was Elvis’ second album of Christmas music and while it may not have been as good as his first, it was a credible and entertaining holiday release. It was a huge commercial success, selling in excess of three million copies to date. The music was a combination of secular and traditional hymns. “The First Noel” and “O Come All You Faithful” are average fare, but “Merry Christmas Baby,” “Holly Leaves And Christmas Trees,” and “I’ll Be Home For Christmas” find Elvis engaged and committed to the music. This album would probably rank higher except for the fact it pales when compared to his first holiday release. 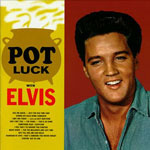 Pot Luck was an apt title for the album. His studio albums from this part of his career were not priorities. While the album sold well, sales paled when compared to movie soundtracks such as Blue Hawaii and G.I. Blues. The rule of not issuing hit singles on studio albums continued but was starting to be relaxed. During 1964 and 1965, songs such as “Suspicion,” “”Kiss Me Quick,” and “(Such An) Easy Question” all entered the Billboard Top 40. 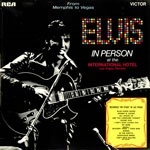 The album also contained “That’s Someone You’ll Never Forget,” which was a rare song for having been co-written by Elvis. Elvis’ contract with Paramount pictures had expired, which led him back to the recording studio. His releases had been confined to soundtracks and compilations, and except for one gospel album, this was his first album of new studio material in seven years. When Elvis was committed to the process, he produced good material. Now the singles were taken from his albums and “In The Ghetto” returned him to the top of the charts. In addition to being one of his finest performances, it marked the beginning of the second phase of his career. Add in “Any Day Now,” “Gentle On My Mind,” “I’m Movin’ On” and “Long Black Limousine” and you have the makings of a very good album. The highest ranked of his 1970s secular studio albums, Raised On Rock could have been a few notches higher if it had just been a little longer. Clocking in at 10 tracks and just over 27 minutes, it packs some punch for its brevity. ”For Old Times Sakes” is one of his underrated singles and the title track is better than most of what would follow as the decade progressed. Elvis had been discharged from the army and Something For Everybody was his second release. 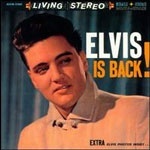 While Elvis Is Back had stalled at number two on the Billboard Pop Albums Chart, this time he reached number one. 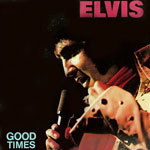 It is an album of tracks that do not come to mind when considering Elvis’ legacy, yet they work when taken together. 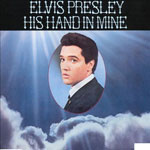 Songs such as “I’m Comin’ Home,” “I Slipped I Stumbled I Fell,” “There’s Always Me,” “Sentimental Me,” and “Put The Blame On Me” fit Elvis and each other well. Elvis was home after spending two years in the army. In some ways, he had never really been away as he had 10 Top 40 hits and released four compilation albums during his two years away. Less than three weeks after returning home, he was in the recording studio. 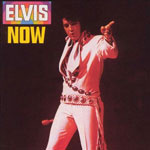 Elvis Is Back was a very good album, but the sessions produced “Stuck On You,” “Fame And Fortune,” “Are You Lonesome Tonight,” and “It’s Now Or Never,” which were saved for single release. The release marked the beginning of a turn toward a pop sound. “Reconsider Baby,” “Such A Night,” “Thrill Of Your Love,” and “Fever” were a turn away from a ‘50s rock & roll sound, which proved to be a wise choice as his fan base was maturing. Many of Elvis’ 1970s albums were hastily assembled affairs and not of the best quality, but when he sang gospel music, it was different. His gospel material was consistently excellent as he was better prepared and more engaged. He Touched Me was the last of three gospel albums recorded during his lifetime and is probably the most modern sounding. “Bosom Of Abraham,” “I’ve Got Confidence,” and “Lead Me Guide Me” are relaxed performances. He takes Jerry Reed’s “A Thing Called Love” in a spiritual direction. He even manages a credible performance of “Amazing Grace.” This is Elvis at his 1970s best. Elvis was about to enter the army, but the releases kept coming. For LP Fans Only was cobbled together from a number of recording sessions. The good news is that the sessions were some of Elvis’ best. The real good news, at the time, was that some of his early Sun material was included. Much of the world was introduced to such songs as “That’s All Right,” “Mystery Train,” and “I’m Left, You’re Right, She’s Gone.” Add in such rock staples of the day such as “Lawdy Miss Clawdy” and “Shake Rattle & Roll” and you have a short but excellent Elvis Presley album. During the 1970s, Elvis would go into the studio, record a number of songs, and then let producer Felton Jarvis assemble them into an album. Jarvis had a number of country songs in hand and so he had Elvis record several more in order to release a country album. 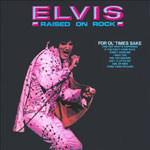 Assembling an album of just one style of material enabled Elvis to produce of the better releases of his career. 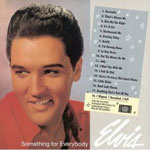 The choice of songs also fit Elvis well, with “I Washed My Hands In The Muddy Water,” “Funny How Time Slips Away,” “Faded Love,” and “Make The World Go Away” being highlights. A frenetic one-take version of “Whole Lotta Shakin’ Goin’ On” adds the right touch to an excellent album. 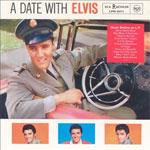 A Date With Elvis is similar to For LP Fans Only (see number nine). 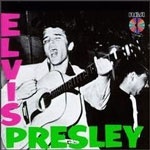 Elvis was in the army and more Sun material and previously recorded tracks were assembled into an album. “I Forgot To Remember To Forget,” “Blue Moon Of Kentucky,” “Baby Let’s Play House,” and “Milkcow Blues Boogie” explore the beginnings of rock and roll. When it came to gospel music, Elvis just seemed to try harder. He had already issued a four song EP, but His Hand In Mine was his first full-length album. It was released at a time when he was moving away from rock music and toward pop and Hollywood. He stayed clear of classic hymns and recorded songs that fit his style. “I Believe In The Man In The Sky,” “I’m Gonna Walk Dem Golden Stars,” and “Joshua Fit The Battle” were the tip of the iceberg for one of his better albums. Elvis became a star in 1956 on the strength of hit singles such as “Heartbreak Hotel,” “Hound Dog,” “Don’t Be Cruel,” and “Love Me Tender,” but they were not included on his studio albums. 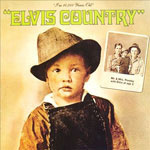 Elvis needed an album and so his self-titled debut was cobbled together from several new recording sessions plus some songs from as far back as 1954. It all works because of the energy Elvis brings to the material. “Tutti Frutti,” “Blue Moon,” “I Got A Woman,” “I Love You Because,” and “Blue Suede Shoes” have been recorded hundreds of time but rarely with the energy contained here. This is an album that slides under the Elvis radar. It is both a studio and a live album all wrapped into one release. It was his first double LP and his first live release. The live material was recorded at The International Hotel in Paradise, Nevada, in August of 1969. 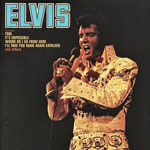 Elvis was returning to the concert stage after years in Hollywood and his performance finds him in shape and not bored. Many of his early hits are present, but also included are “In The Ghetto” and “Suspicious Minds,” as well as rare live versions of “My Babe” and “Mystery Train/Tiger Man.” The studio material has a laidback and easy flow to it. “Inherit The Wind,” “And The Grass Won’t Pay No Mind,” “Do You Know Who I Am,” and “From A Jack To A King” may not be energetic, but they are relaxing. 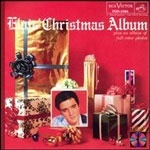 Elvis’ Christmas album was his biggest selling release of the 1950s. It also helped him escape the teen-idol moniker and move toward the mainstream as millions of parents bought this album and realized that Elvis could actually sing. Divided between sacred and secular, the material was chosen to fit Elvis’ style. “Here Comes Santa Claus,” “There’ll Be Peace In The valley (For Me),” and even “Silent Night” appealed to many American adults. 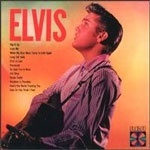 Two new songs were written especially for Elvis and the album. “Santa Claus Is Back In Town” by Leiber & Stoller is a nice blues rocker and “Santa Bring My Baby Back To Me” has a gritty vocal. The only issue was his version of “White Christmas,” which Irving Berlin hated. It remains an eternal Christmas release and its sales, including reissues, have passed the 13 million mark. Elvis’ second studio album picked up where the first left off. 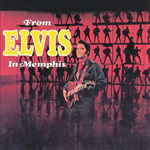 It was another album of cover songs that found Elvis in full rock and roll mode. “Old Shep,” “Rip It Up,” “Long Tall Sally,” and “Ready Teddy” are the energetic tip of the iceberg of one of Elvis’ best albums. If you want to understand the impact of the 1950s Elvis Presley, this album is the place to start. 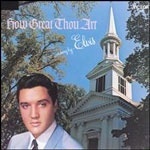 Elvis had not issued a non-soundtrack studio album in five years when How Great thou Art was released in 1967. It was a welcome relief from his hastily recorded film music. It was a mature and committed Elvis who sang the title song, “In The Garden,” “By And By,” and “So High.” His cover of “Crying In The Chapel” had been left off his last gospel album and became a hit single. It may not have been rock and roll but good music is good music. If you are ever passing through Sandwich, Massachusetts, don’t forget to stop at the First Church of Christ, the picture of which adorns the album cover of Elvis Presley’s best album.